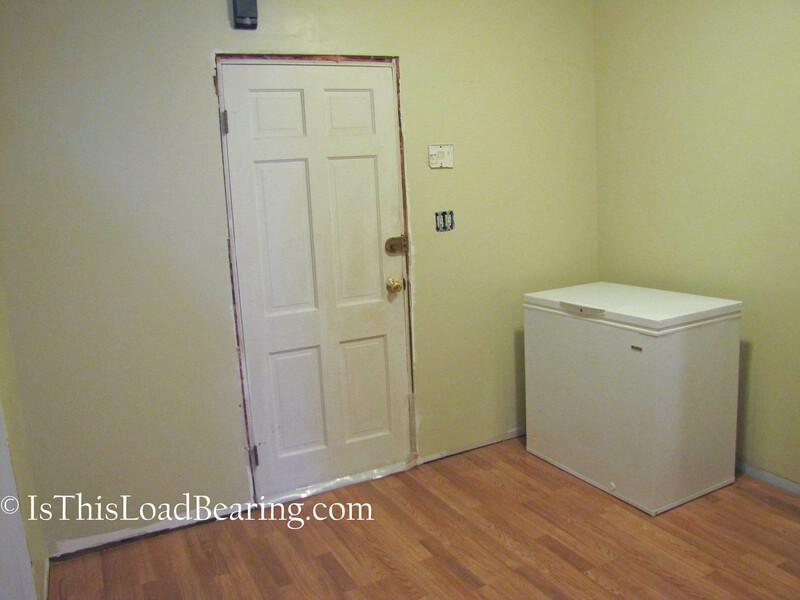 Mudroom | Is this load bearing? It seems I can never fully get my head around a project until I have purchased the materials and made the first cuts. That’s usually when I decide that I don’t like my current plan and come up with something new. Do you do that, or is it just me? So I’m back to the drawing board again. 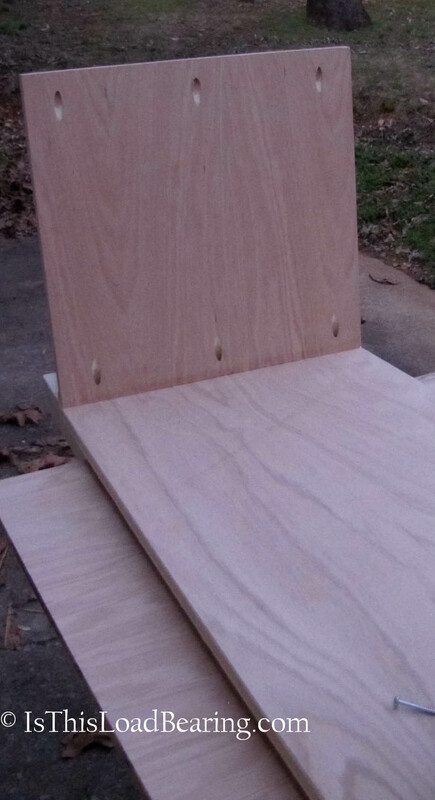 The bench is going to be transformed into drawers. And it looks like I will be tackling doors again! 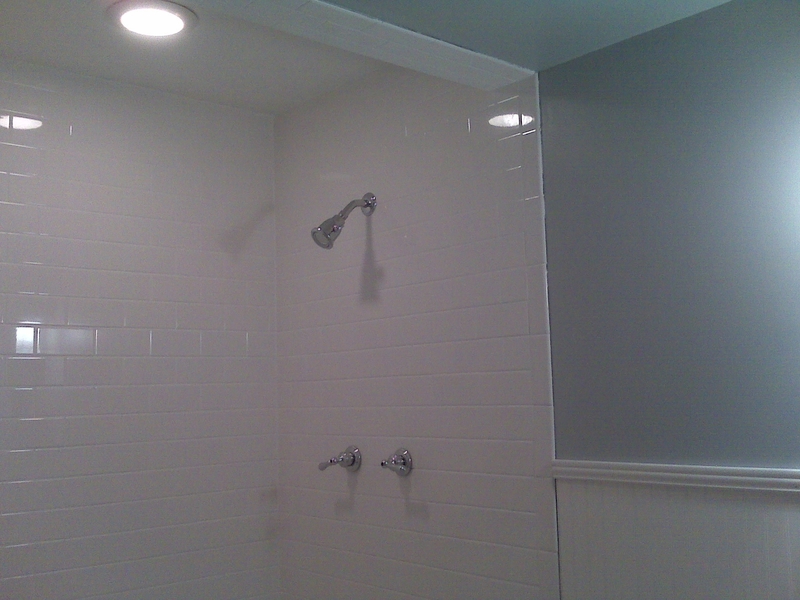 Hopefully this project won’t take as long as the master bathroom! I hope everyone has a wonderful weekend! Home Depot awaits. Happy Monday! I hope everyone had a relaxing weekend and those that made it to Blissdom had a wonderful time! Tonight I finally got around to starting Project Mudroom! I was thrilled to see that our local Home Depot now carries PureBond plywood. In case you haven’t heard, PureBond is a formaldehyde-free, soy-based adhesive plywood, and is made exclusively in North America. I stocked up on a couple of 4X8 sheets to get me started. I started with the long bench first. I measured the length of the wall where I want the bench to go, allowing for trim. 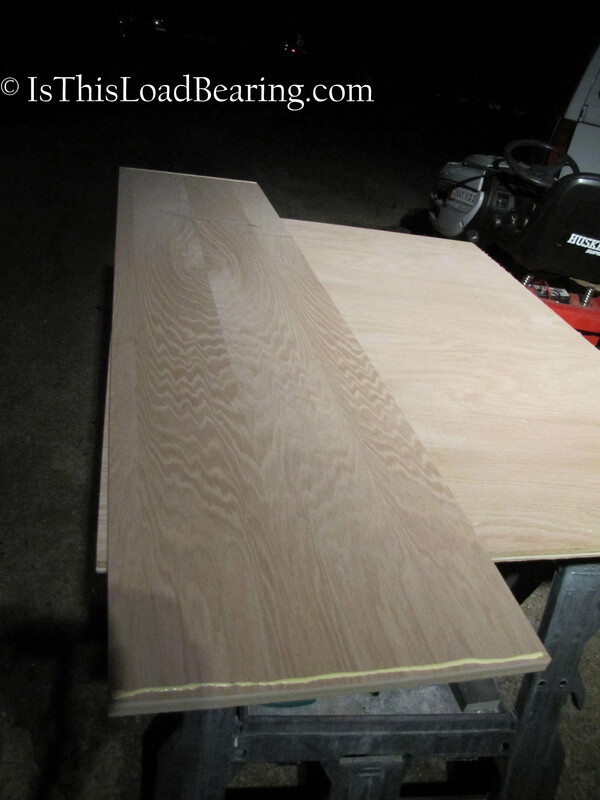 I cut two 16″ X 66″ boards for the front and back of the long bench. That’s them in the background on the trailer. (I don’t have a proper workbench…yet). 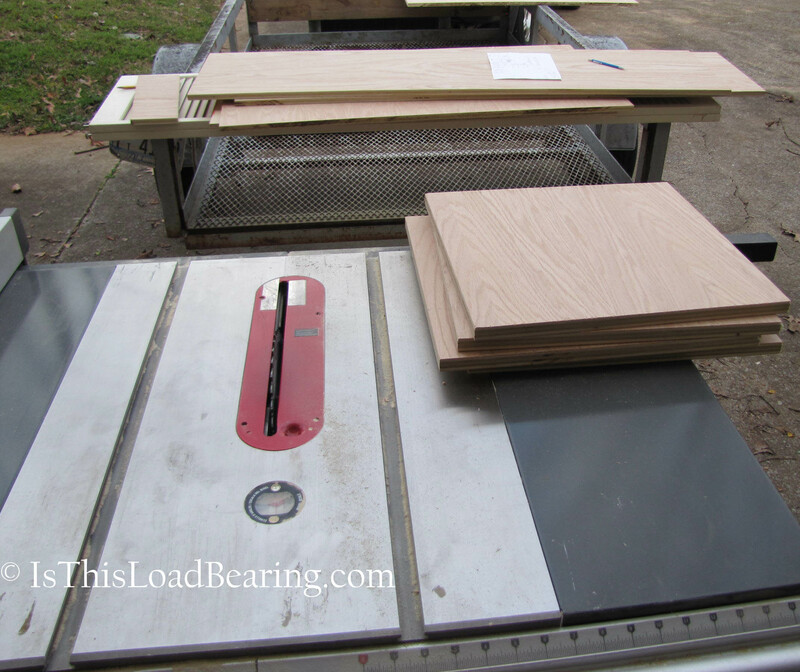 Then I cut two panels for the ends measuring 16″x 15.5″. 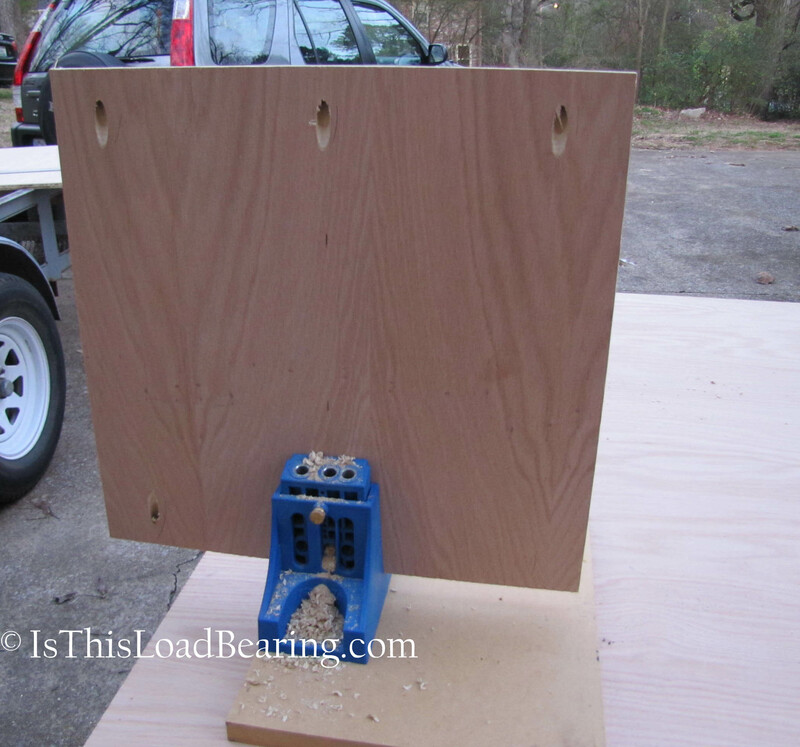 I brought out the Kreg Jig and drilled holes into the end panels. 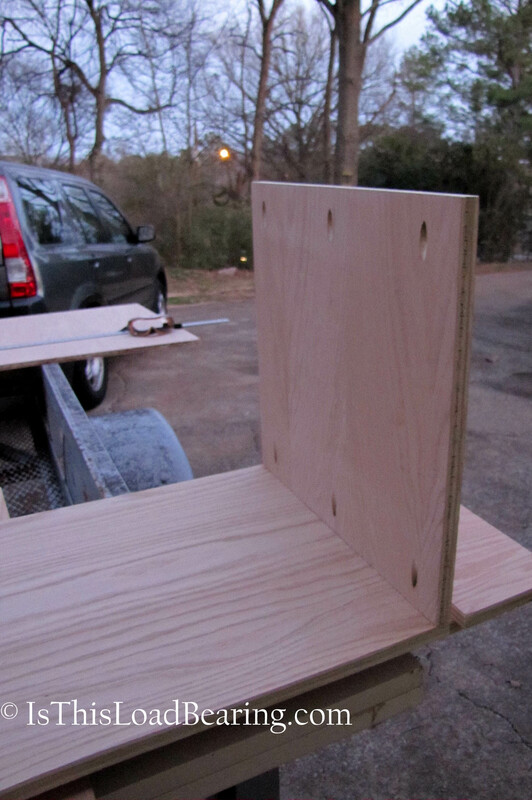 Then I glued the end panels to the back allowing them to set up before drilling the screws in. 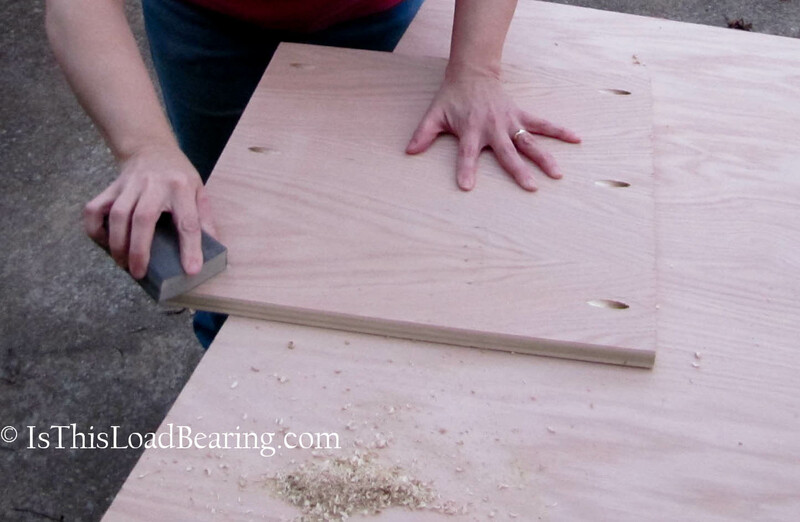 If you don’t let the glue set up, you run the risk of the board shifting when you put the screw in. Then I set the part I had already assembled on top of the front panel to set the glue. I let the glue set and finished assembling the box. As you can tell, it was getting dark, so I had to quit for the day. But it’s a start, right? I hope to get more accomplished tomorrow, but rain is the forecast. We shall see. 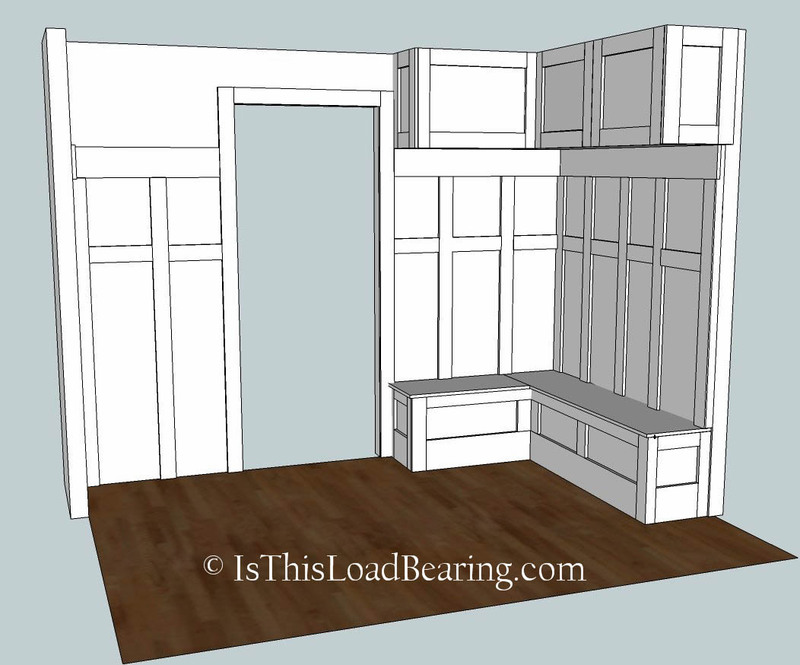 I think I have finally come up with a plan for my future mudroom! 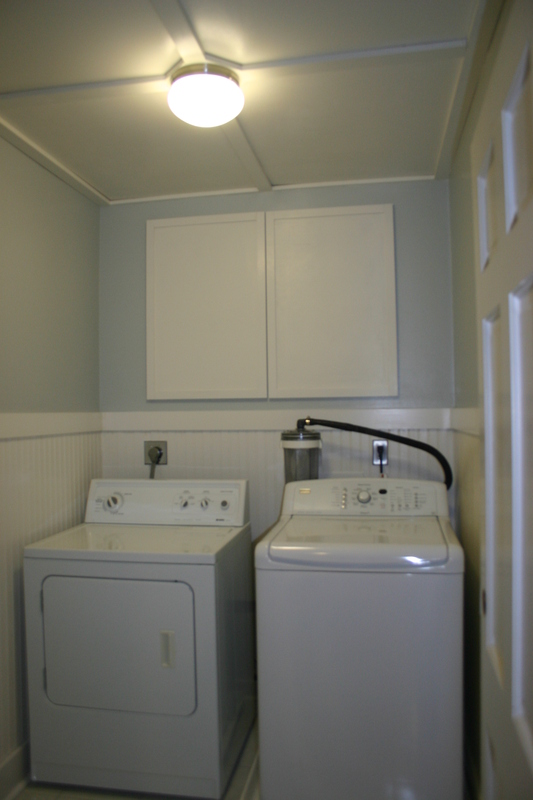 After looking at hundreds of pictures of mudrooms on Pinterest, Google, and Houzz.com, I think I finally have a plan…or is it Plan A? Time will tell, but I really like this plan. 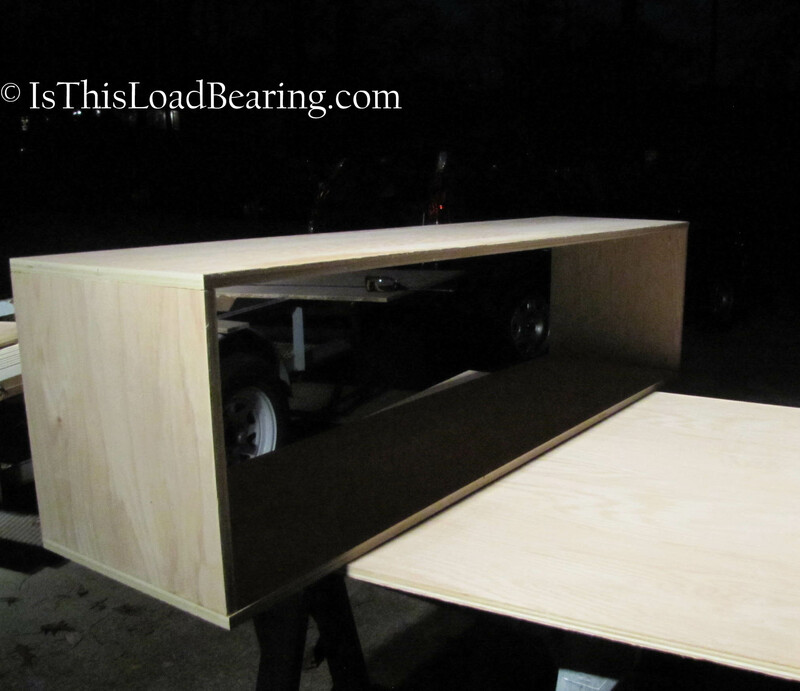 The benches will have hinged lids for storage, but here’s the part I really like: Norm (my electrician husband) suggested building a “false bottom” underneath the upper cabinets and installing recessed puck lights. This room has no windows so, I think the under-cabinet lighting would be a nice accent. Time to find another place for that freezer and let the building begin!